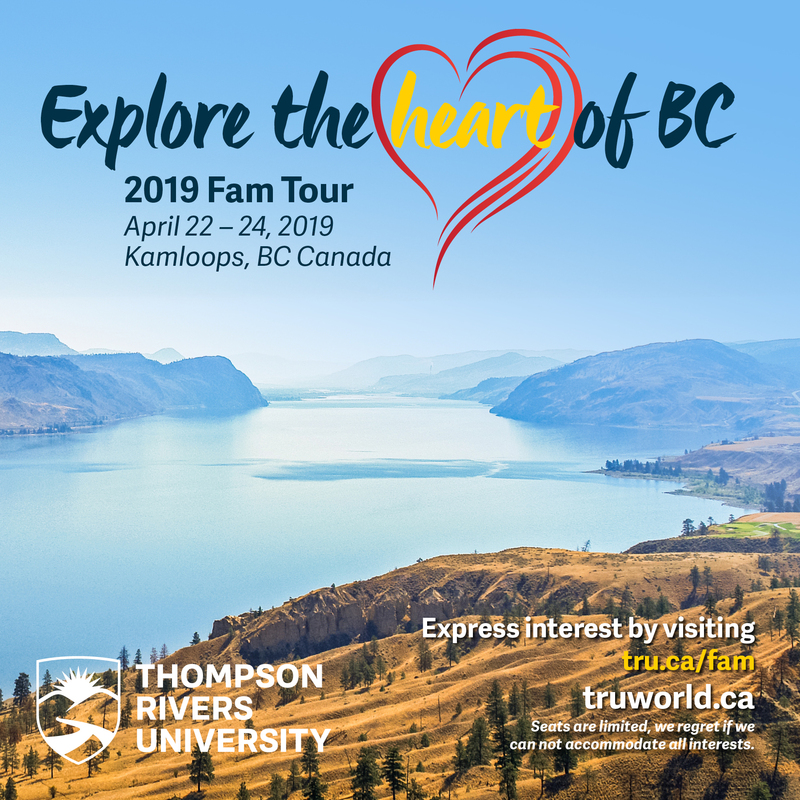 This year, we are exploring the heart of British Columbia, right here in Kamloops at Thompson Rivers University. Join us in our Familiarization Tour from April 22 - 24, 2019, right before ICEF Vancouver. Due to limited seats, we request you to express your interest by signing up at www.tru.ca/fam. PLEASE NOTE: This FAM Tour is now full, however, you may sign up for the waitlist by sending an email to Ana Carolina.